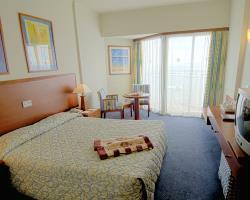 The Crown Resorts Horizon is a bright and inviting hotel with lots to offer. 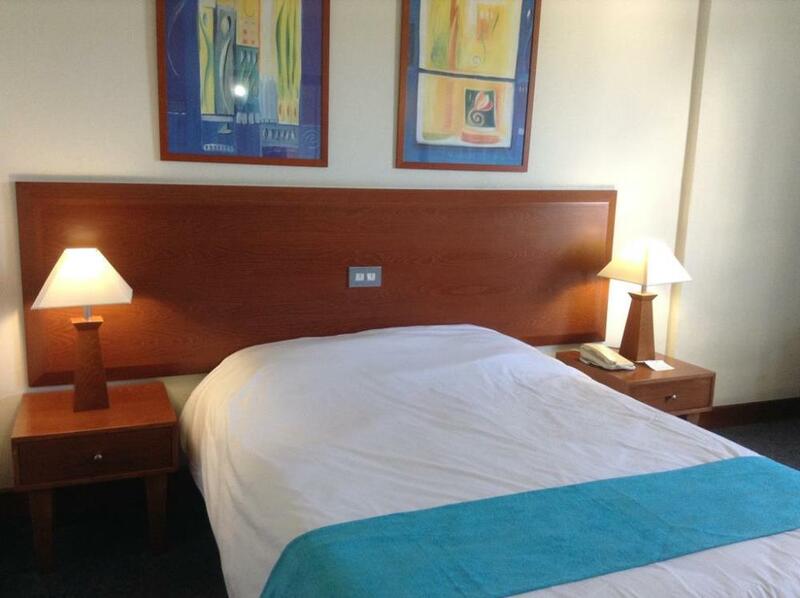 The hotel is ideal for those looking for a comfortable, high quality hotel. The Crown Resorts Horizon consists of 215 rooms, which all have balcony verandas, individually controlled climate control (air conditioning and heating), national and international direct dial telephones, piped music, music channels, televisions with local, satelite and pay TV channels, mini bar, safe deposit boxes and tea and coffee making facilities. Each bedroom at the Crown Resorts Horizon Hotel has a private bathroom with a full size bath, shower, toilet, vanity unit, electric shaver outlets & hair dryers. Also there are 12 rooms with disabled facilities. Crown Resorts Horizon Hotel features a restaurant, serving breakfast only. The property provides room service during limited hours. The full-service spa features massage and treatment rooms and beauty services. In addition to an indoor pool and an outdoor pool, Crown Resorts Horizon Hotel provides a health club, a spa tub, a sauna, and a steam room. Meeting facilities include conference rooms, exhibit space, banquet facilities, and meeting rooms for small groups. 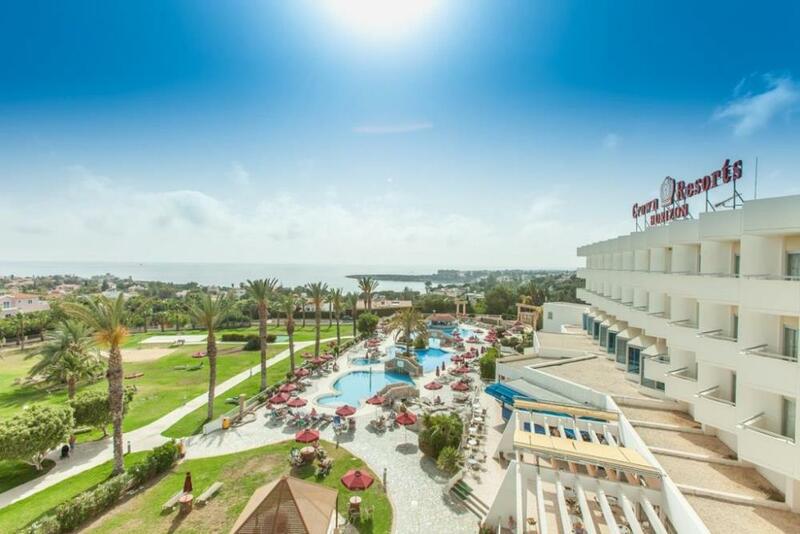 This Paphos property provides an airport shuttle (surcharge). 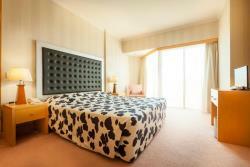 Crown Resorts Horizon Hotel also offers a bar/lounge, a poolside bar, and a fitness facility. The property has a 24-hour front desk. Onsite parking is complimentary. 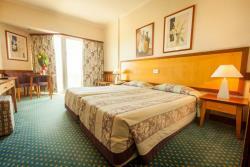 The Hotel consists of 210 double rooms luxuriously furnished. For those special occasions, choose one of the 4 Suites namely the Classic, Crown, Honeymoon or Presidential and pamper yourself in spacious and luxurious surroundings and amenities. 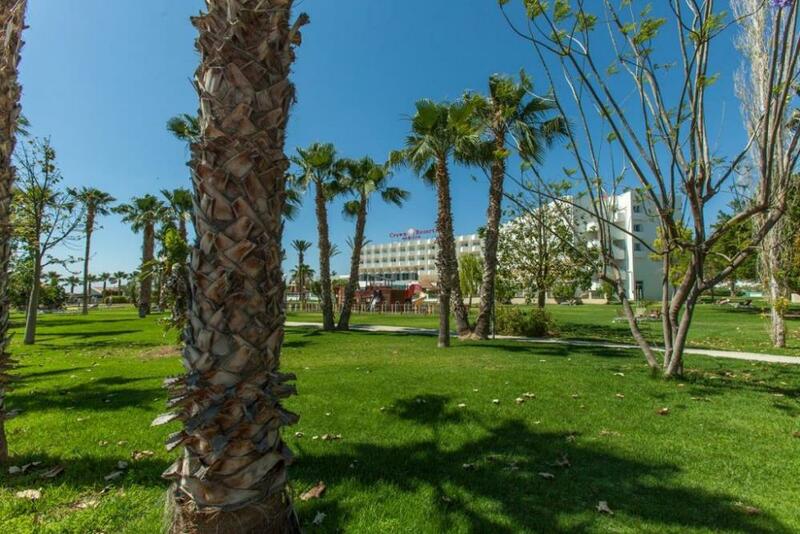 The resort offers an excellent variety of culinary services such as extensive breakfast buffet, light meals, salads, snacks and barbecued delights for lunch. Fine 'A-La-Carte' dinner menu is also available. 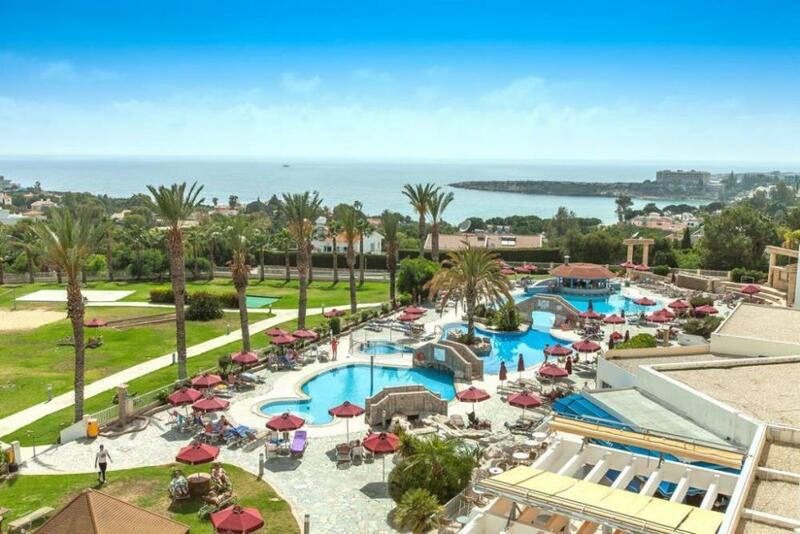 Authentic theme buffet nights such as Cyprus, Barbecue and Tropical. Guests may dine in the hotel's restaurant, which offers terrace seating. A pool bar and snack bar are also available. Sports facilities include tennis, volleyball, and basketball courts, indoor and outdoor swimming pools (each with a spa tub), and a fitness room. Less strenuous amusements are also offered, from playing snooker to relaxing in the sauna. Within 15 kilometers are a turtle sanctuary and Paphos' Venetian harbor. 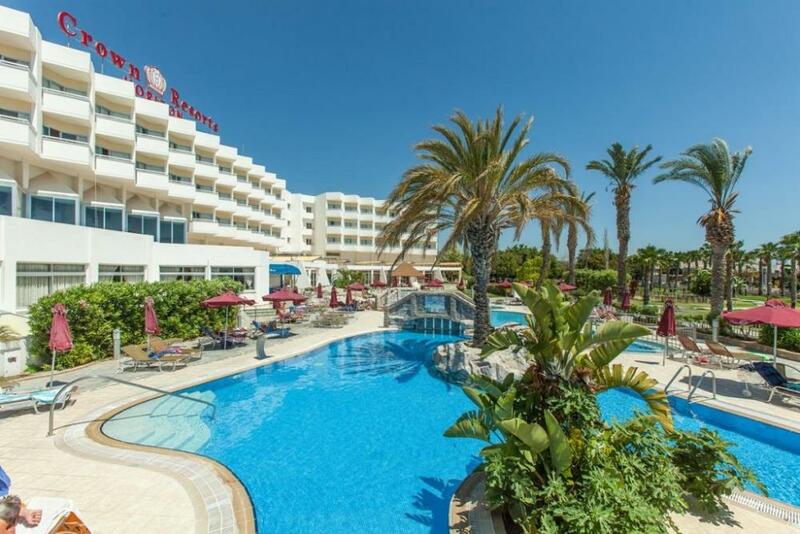 Paphos airport is 25 kilometers from the hotel and can be reached by taxi. Complimentary wireless Internet is provided throughout the hotel. All of hotel wheelchair friendly. The hotel is 300m away from the beach. Access to the beach is not suitable for wheelchair users or people with mobility difficulties and travellibg alone. Bathrooms have floor drains to allow guests to shower sitting on stool next to bath.